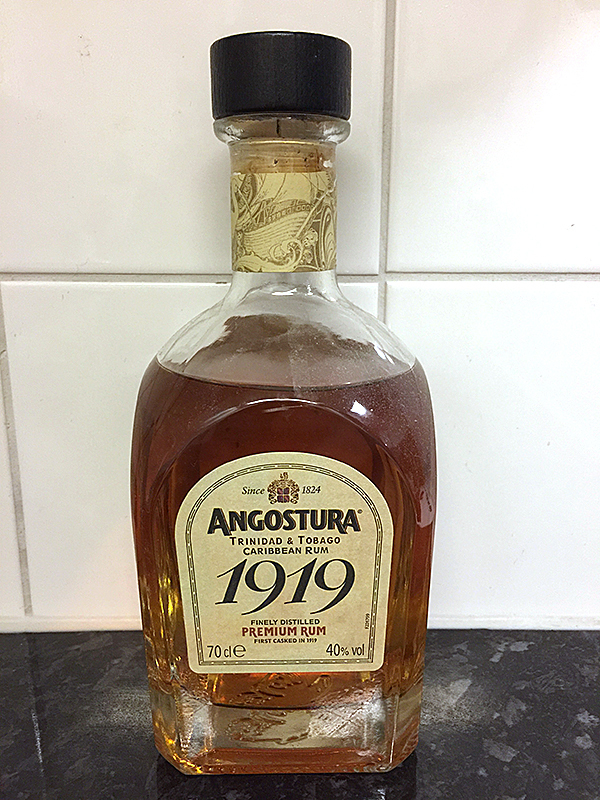 Have you found an online vendor selling Angostura 1919? Angostura 1919 rum is produced in Trinidad by blending a combination of light and heavy molasses distilled rums. These rums spend at least 8 years aging in American oak bourbon barrels. The name Angostura "1919" refers to the event in 1932 when Angostura's distillery was destroyed by fire. Miraculously, a handful of barrels filled with rum from 1919 survived and were purchased by J.B. Fernandes - the master blender of Fernandes Distillers. At the tasting, the pourer skipped the 5 and 7-years and went straight to this. It tastes about as you would expect... caramel, hint of tobacco. Could serve well as an upscale mixer or easy sipper. Interestingly, the pourer stressed that Angostura adds no color or sweeteners to their rum, which I believe is commonly known to be untrue. I'd like to dock a point for uninformed/misleading brand ambassadors, but this really is a rum with no surprises, and holds its own. Might I suggest a 2070 Swizzle? Palate : Creamy & melow, mid bodied. It's a nice & elegant rum. The Angostura 1919 is a nice blender that works very fine in different cocktail and drinks. I prefer this rum with Coca Cola and lots of ice. I tried to drink it neat but don´t think it´s good enough. Sweet with vanilla, fruit and some oak but too much sticky alcohol and spice. This rum is a bit too harsh to drink neat, in my opinion. Great for sipping, great for mixing, and lovely on the tongue. Probably one of the most famous old rum over the world. As many others mentioned before, this Angostura is a good door to the magic world of the old rums. Not too expensive and easy to drink it's a good rum, but far from being as surprising as the Arcane Extraroma from Mauritius or even not as well balanced as the Clement 6 years Old. A good rum to use as a standard benchmark. Nice aroma with a simple and uncomplicated flavour. Sehr gut gemachter Rum aus Trinidad. aber ein durchaus süffiger Rum für alle Tage. Very well made rum from Trinidad. But a very tasty rum for all days. this one rates low every time the boys get together. maybe angostura makes good rum, but buy a different one from their catalogue. not memorable. Drank it but can't remember it! Perhaps that says it all really? I usually mix my rums with orange juice or pineapple, but with this; I drink it straight. It is just that smooth. I thought my Mount Gay was the best, but we have new winner. There are hints of oak, and vanilla. I truly enjoy it, please try. I like it a lot, the flavor at the end is wonderfull, the pepper, vanilla can be felt after drinking king. Bought a bottle of Angostura 1919 while vacation in Trinidad and had high expectations since Angostura is a very well known rum distiller, but the flavor profile is a mess and the afterburn is horrendous. I would not spoil coke by mixing it with 1919. Tried at Cane Rhum Bar in Charlotte SC (awesome people) - I like the finish of the 1919 better than the 1824. Really nice finish! Good rum for the money, lots of vanilla and fruit scent. Nice caramel, vanilla and light wood taste. Not overly sweet, but decently balanced. Great note of vanila. I sipped it on the rocks - fantastic entrance to the world of rums. Recomended! Many years ago, when dinosaurs walked the earth, you could order a vanilla coke made to order - by a real human - using real vanilla syrup, real Coke syrup, and soda water. Angostura 1919 tastes like old-fashioned vanilla coke. Very easy to guzzle this stuff neat without breaking a sweat...but that's the problem. It's sugary sweet. Not to be taken seriously. Sugar: 16 gpl. 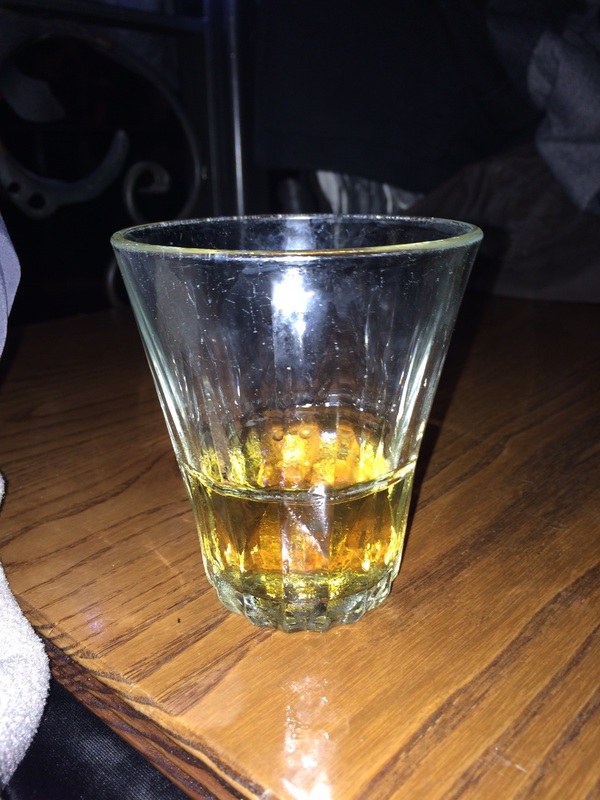 In the glass you get the aroma of honey, vanilla, and butterscotch and it's all right there on the first taste. Bit of a sharp burn that fades quickly and then you get the harsh Angostura tobacco trailer with some vanilla spice that I don't like. The tobacco and leather spice found in the 1824 are stronger and overall the 1824 is a smoother rum, but the 1919 is half the price. This one is a good mixer and if you like spiced rum without the high sugar content, this might work for you. It doesn't work for me. The aroma out of the bottle indicates this to be a sweet rum and this is confirmed upon first taste. I get immediate vanilla and butterscotch flavors before the burn begins. Definitely a good sipping rum and also works extremely well in Coke Zero (which is how I prefer it). Also I enjoy 3 ounces of the rum added to a 12 ounce bottle of Florida orange juice. Nice. A good rhum for starting a rhum tastings. Quite easy to drink and it has a lot of vanilla, tropical fruits and honey. Perfect with dried fruits and vanilla ice cream. This one has a bit of a alcohol bite, but balances weetness nicely with fruity favours. "Vanilla and caramel are still detectable in the aroma, but..."
"The history of Angostura lies with a German apothecary..."
"the rum is almost straw coloured rather than..."